Michael Brewster has worked for Lehman Brothers for 15 years, and currently serves as Managing Director. He analyzes, reviews, and invests for the MB Value and Growth, as well as the MB Strategic Dividend & Income Portfolios. 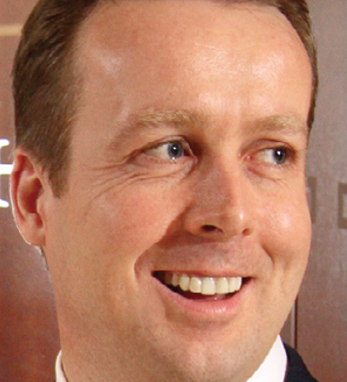 He also co-manages, with his partner, Mark Sullivan, the Small, Midcap and Special Situation Portfolio. Brewster, whose previous employment includes a stint at Bally’s Park Place, and in casino credit at Trump Castle Hotel Casino, earned his higher diploma in Management Finance from Athlone Institute of Technology in Ireland, and later earned his BS in Business Administration from Thomas Edison State College. Brewster, who was born in Ireland, says his Irish heritage has taught him that, “Everything comes to he who hustles while he waits.” His family on his father’s side come from County Fermanagh; his mother’s family, the Hegartys, are from County Longford. A member of the Ireland U.S. Council, Brewster lives in New York with his wife, Margaret.